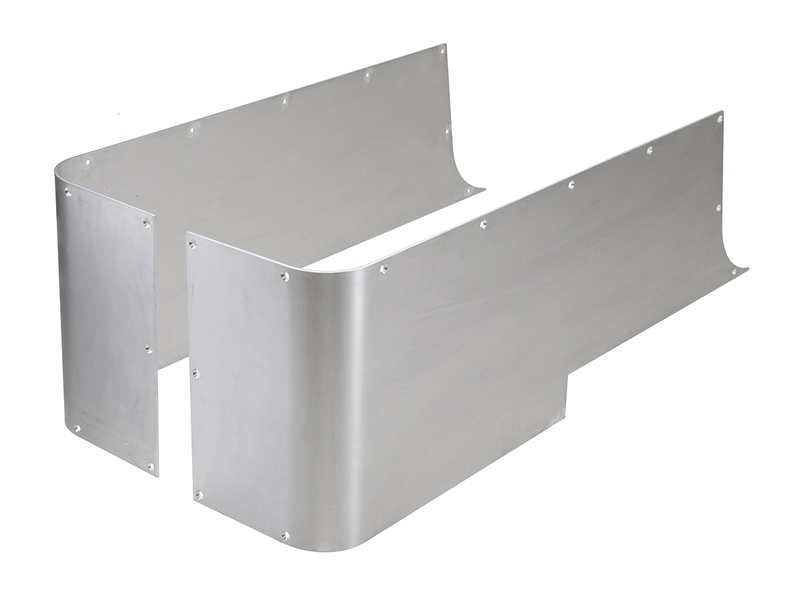 This is the GenRight Off Road Full side coverage Corner Guard Aluminum Blanks For the Jeep TJ, YJ, or CJ. This is perfect for the guy who wants to cut all his own holes, wheel openings, etc to have the most unique looking Jeep or match a unique combination of parts on a given Jeep. There are No Cut Outs on these corners. The tail gate hinges, if you use them, would bolt on top of the 3/16 inch corner guards. Mounting the tail lights and gas filler on this version, is all up to you. This model is an ideal choice when Stretching your Rear axle back or running monster tires, so you can trim the wheel opening to match you specific rig.